Haven’t you heard? 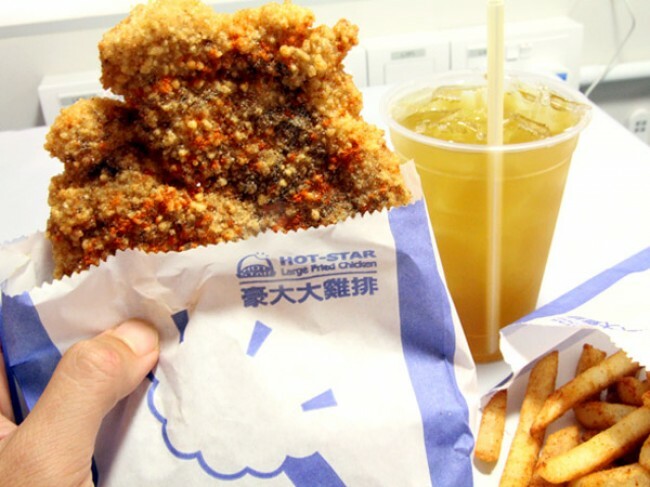 Taiwan’s most popular Hot-Star fried chicken (otherwise known as Hao Da Ji Pai) has arrived in Singapore! Located at City Square Mall, Singapore is the second overseas country after Hong Kong to obtain this franchise (after much persuasion I heard). Taking a huge bite off the coated batter, the chicken breast meat remains very succulent, as though as the juice is pumped into it. 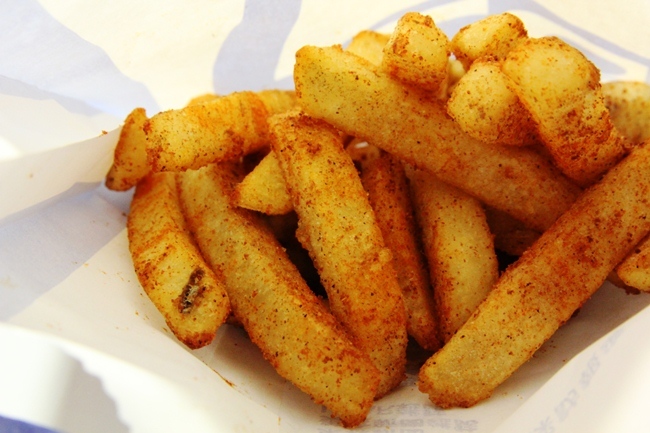 The dusted red chilli powder adds a layer of spicy kick. Staying true to its authenticity, the local Hot-Star store will not cut the meat up, even if customers request for it. Well, for the size its mostly a piece of ordinary cutlet cut thinly and mostly bone, could not even eat half of my fried chicken. Had to wait long too for this fad. Chan – are you for real? If you couldn’t even get through half of the cutlet, how did you even get to the bones? Only the last 1/4 of the cutlet contains bones. And they always place this at the bottom of the paper jacket. This is easily one of the best I have tried. I think the reason for not cutting up into bite-sized pieces is to seal up all the juices within the crust and keep it warm. Crispy on the outside, juicy and succulent on the inside. Seriously huge for that price. Better to share with someone else, otherwise going to get a sore throat. It’s now available in Shanghai too at multiple locations including Raffles City in People’s Square. Long lines though, so be prepared to wait!